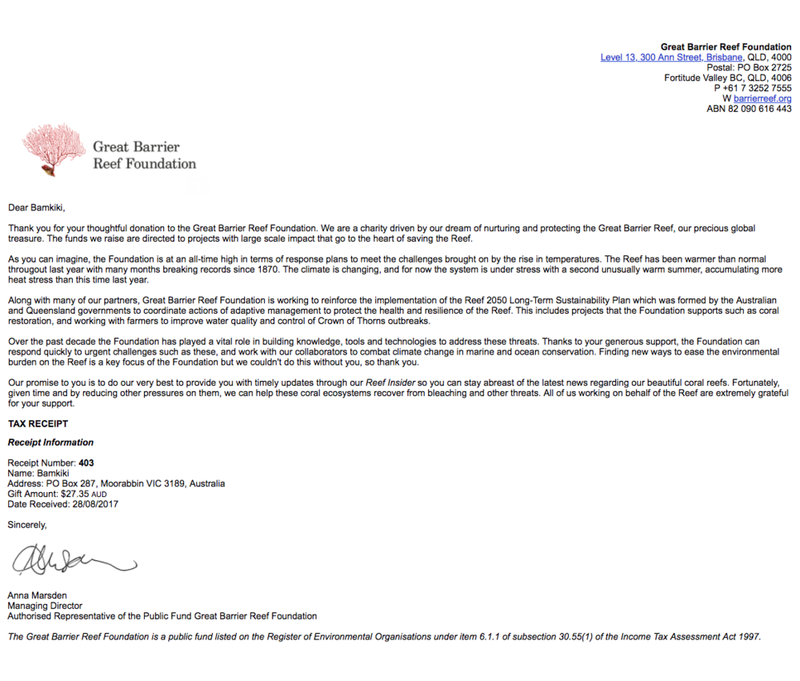 Today we reached a milestone with our first donation to The Great Barrier Reef Foundation. A big THANK YOU to you all for purchasing BAMKIKI toothbrushes. You have made this donation possible!